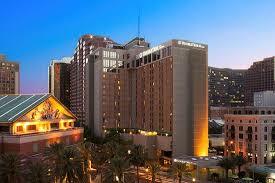 DoubleTree by Hilton New Orleans - Canal Street. The hotel cut-off date is April 5, 2019. NASCA will make your room reservations based on the dates submitted in your registration. NASCA will send out hotel confirmation emails 10 days prior to the event. The NASCA room block at the DoubleTree by Hilton, New Orleans - Canal Street is valid May 6-9, 2019. Your $350 travel reimbursement, up to 3 hotel nights and registration to attend the Spring Conference are included in your state dues. For you state records the value of the room is $189.00 per night plus taxes and fees (totaling $220.76). This charge is billed to the NASCA account. You will have to present a credit card upon arrival for incidentals. NASCA will make your room reservations based on the dates submitted in your registration. NASCA will send out hotel confirmation emails 10 days prior to the event. You will be responsible for your own travel and board. Please plan to provide a payment method to the hotel onsite. Per night room rates are $220.76, inclusive of tax and fees.